In 1980, the hit movie "Fame" hit the theaters of America with a musical look at life at the New York High School of the Performing Arts. The film portrayed the ups and downs of the school's students as they tried to make it in the arts world while running into many trials and tribulations. 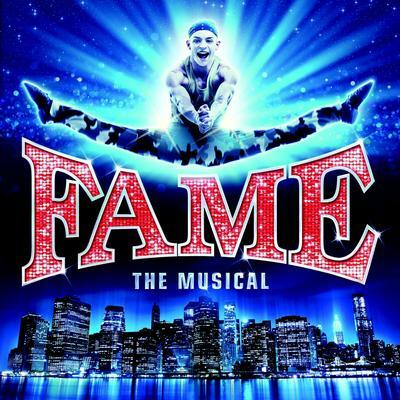 The success of the "Fame" movie led to a TV series and eventually a Broadway play was created that was based on the movie yet different in some ways thematically, with new dialogue and songs added to the production. 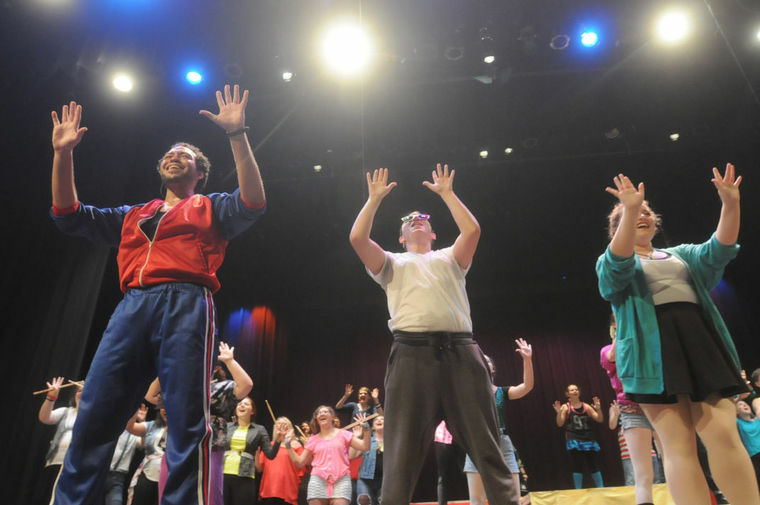 On July 31 and Aug. 1, the Paramount Players will perform the stage version of "Fame" at the Paramount Arts Center, located at 1300 Winchester Ave., in Ashland. Tickets for Fame are $16 for adults and $12 for students. The show on Friday, July 31. will begin at 7:30 p.m. There will be two shows on Saturday, Aug. 1, at 3 and 7:30 p.m. The "Fame" stage show, with its book written by Jose Fernandez, music by Steven Margoshes and lyrics by Jacques Levy, is rated PG-13 for language and adult situations. Locally produced theater is a vital part of an area's arts community. The director and choreographer of the Paramount Players is Melanie Cornelison. The locally-based cast will include Matt Hammond as Schlomo Metzenbaum, Morgan Casto as Carmen Diaz, Mark Radford as Tyrone Jackson, Wyatt Wheeler as Jack Zakowski, Blaine Roberts as Nick Piazza, Katlyn Shaw as Serena Katz, Hannah Noel as Mabel Washington, Carli Robinnette as Iris Kelly, Katie Clark as Grace 'Lambchops' Lamb, Thaddeus Stambaugh as Jos 'Joe' Vegas, Alex Castle as Goodman 'Goody' King, Susan Taylor as Miss Esther Sherman, Dani Mae Gillstrap as Ms. Greta Bell, Rick Payne as Mr. Myers and Bill Tussey as Mr. Sheinkopf. "The Paramount Players always try to do a dance show in the summer," said Cornelison. "We have a lot of people returning from college for the summer and everyone enjoys dancing and having a good time. This is an excellent cast and they have worked countless hours to make this show a success. Musicals take a lot more rehearsal because of the time necessary to teach and perfect the dancers. Most non-musicals rehearse for five to six weeks while most musicals take eight to 10 weeks of rehearsal. Being a choreographer as well as a director, I enjoy the challenge of taking dancers of all abilities and experience levels and create dances that showcase their talent and surprise the audience with how well the dances are executed." When a call for auditions for "Fame" went out, talented folks from all over the Tri-State stepped up. "'Fame' had auditions at the end of May and we have been rehearsing Monday through Thursday since then," said Cornelison. "We have cast members from Louisa (Kentucky), Ashland, Portsmouth (Ohio), Huntington, Chesapeake (Ohio), South Point (Ohio), Ironton, and Grayson ( Kentucky). I love seeing how dedicated people are to make the drive every day in order to participate in what they love to do." Cornelison produces many shows a year for the Paramount Players, and it is a labor of love for the North Carolina native. "Producing a musical is one of the most rewarding things in my life," said Cornelison. "It is magical to see a group of people come together on day one who do not know each other, and then week by week you see them embrace their character and the script and they start to bring it all to life. By the end of the show, it's like a family in all sense of the word. We have families who participate together and people who develop love interests and lifelong friendships during the course of eight weeks. And for me, it is beyond rewarding to watch people who began acting with me at ages such as eight and nine years old and follow their growth all the way through adulthood. Many of them choose to make the arts their career. What better reward could any director ask for? It has been a fun production and a great experience and I hope everyone comes out and supports the Paramount Players and their summer show."